Assessment has been a part of my job whether working with students or adults, gathering information about student/client abilities to determine what skills require intervention. Working as an Occupational Therapist one on one with students, we are able to determine what steps and skills are needed to accomplish the long term objectives through assessment, observations, knowledge of development milestones and task analysis. Collecting data was typically performed through reassessment, checklists, rubrics, observation and anecdotal notes taken on student progress. Hard copy notes was the most typical method of collecting data. iPads and iPods have been provided to many of the special education staff at my school this year to support students programming. The mobility of the iDevices lends themselves not only as a mobile treatment tool but an electronic data collection tool. It promises efficiency, a method of gathering and calculating data given the appropriate app to support those data gathering needs. With the availability of an iPad for many of us the search began to find an app that lends to easier, meaningful and more efficient electronic data collection. Formative assessment is an emphasis at our school. When considering an electronic data collection app used by teachers and therapists functions of entering customized goals, ability to use standard formative assessment rating ( 4 to 1 ) or other rating scales, accumulate data over time, ability to calculate the accumulated data in a meaningful way (percentages or achievements/opportunities) and retrieve/manage the data in a format in compatible with our schools technology were features desired. The search began. I may have missed apps that would provide more than what I could find but I had a difficult time finding an app of the desired functions for an iPad/iPod. The Super Duper Data Tracker is the one apps I believe come the closest to the functions that were desired. Choose from various response types — Tally, Correct/Incorrect, Approximated, and Cued. Graph results for each goal. 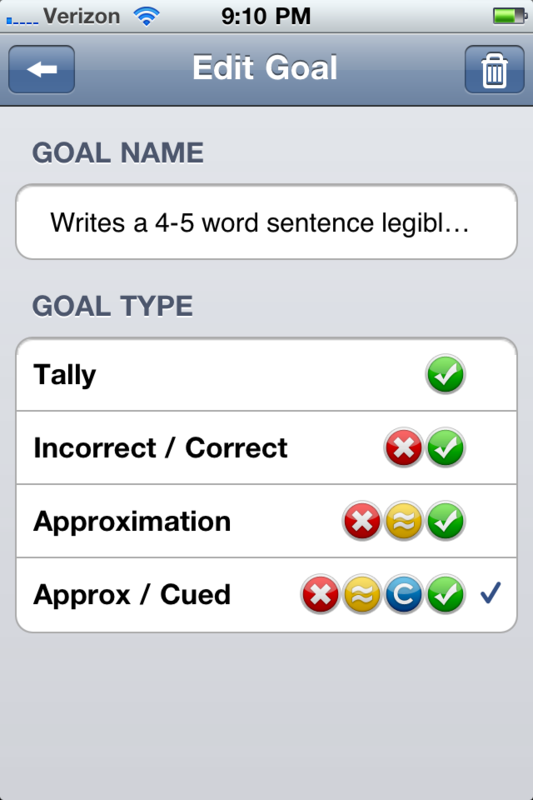 Example of creating a goal and choosing the response types including correct/incorrect, approximate or cued as used on an iPhone. 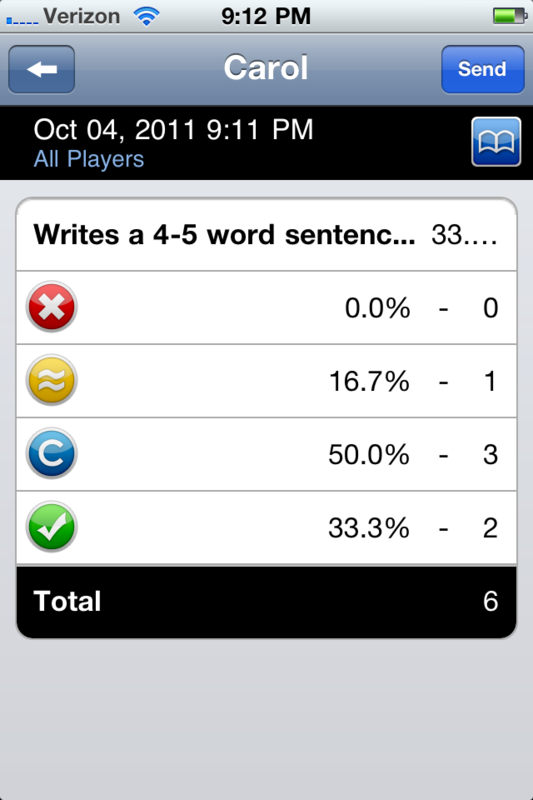 Super Duper Data Tracker session by player (client or student) showing accumulated scores by goal on an iPhone. 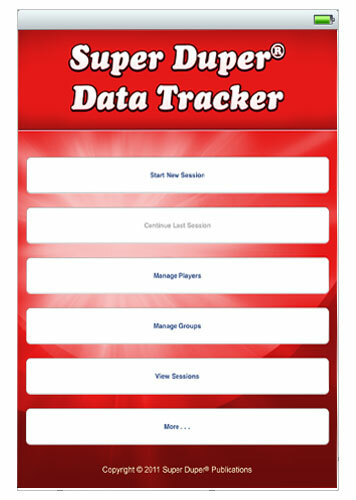 The app allows you to collect or review sessions by date, player or goal. Players can be tracked individually or by group. Data is recorded by sessions and can be accumulated over time and ended at any time. Session data can be viewed in a chart by sums and percentages or a graph and emailed from the iPad or iPod. Although this app had most of what I was looking for, what would be a welcome addition would be a choice of response types with scores of 4 to 1 in addition to the correct/incorrect, approximate, or cued. This response type would fit standard formative assessment rubric format used by many teachers, therapists or related service personnel in education. 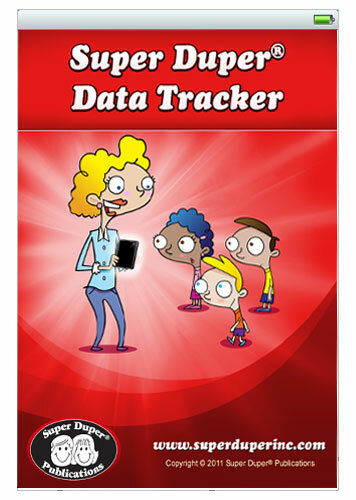 At present the app would be my and fellow teachers’ choice for data collection (we would all like additional choices of response types however) when using iPad or iPod for data collection. Spread sheets are another option but I prefer this app for its easy check off abilities rather than having to put numbers in a spread sheet. Use of the Super Duper Data Tracker app found it easy to use. It is available for iPhone, iPod Touch, iPad from iTunes for $5.99. Super Duper Publications provides a video and FAQ about the app on its website for more information. I also found Super Duper Publication easy to contact and quick to reply to questions and comments. Than you Super Duper Publications! If you have any other suggestions or thoughts for a data collection app appropriate for teachers and school based therapists – please share! This entry was posted in App Reviews, Apps for OT's, Data Collection, Formative Assessment, iPad, iPod, Occupational Therapy, Special education, Special Education Teacher and tagged assessment app, data collection, education, formative assessment, occupational therapy, special education. Bookmark the permalink. What an interesting app and application. Great ideas – thanks for sharing them!